YOU'VE GOT THE STRATEGY... NOW, HOW WILL YOU EXECUTE? You take the easy-to-follow strategy and you (and your team if you have one) use the templates and guides to start rocking your marketing by your lonesomes. Based off of your budget, needs, wants and desires - as in we will be there as much as you want/need us - we help you through the process of executin your strategy. You don't have to lift a finger... just a thumb's up for approval now and then. We got you covered and will execute your full strategy for you. I'm sure you have enough to do anyways, right? INTERESTED IN OPTION 2 OR OPTION 3? Let's talk and put together an execution plan that completely fits your WANTS, NEEDS, AND BUDGET. Just fill out the form on the right and we will reach out ASAP. 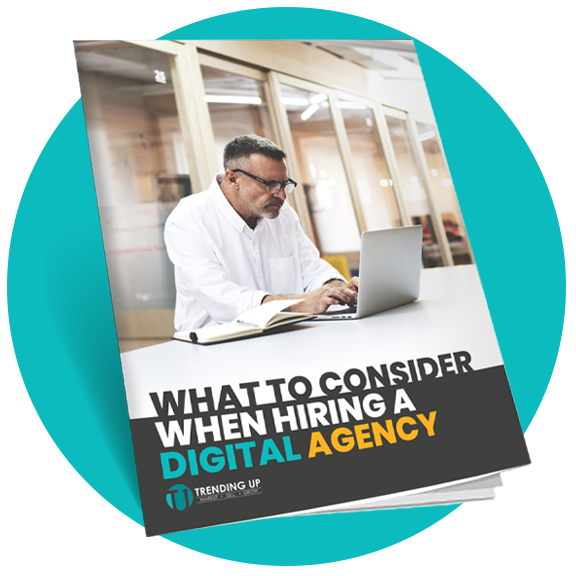 We have an eBook that we put together that is packed with things to consider when you are planning on working with a marketing partner.